By continuing to browse , we consider accepting our Cookies policy. • Foster and improve entrepreneurship, employment and entrepreneurial spirit of women in vulnerable groups and/or rural areas through training in the use of technological tools and services, provided by facilitators, who will be themselves coached and mentored in order to provide the training. The project starts with a great initial advantage: is based in a successful initiative carried out throughout Spain by Fundación Cibervoluntarios during years: The program called “Innovadoras TIC” (www.innovadorastic.cibervoluntarios.org), with a consolidated methodology and observable results, which provide this new project with a solid and reliable base, based in the technological training of women in vulnerable contexts, like rural areas or minority groups for their empowerment and improvement of skills and competences. Spanish NGO pioneers since 2001 in the social use of technologies to generate social innovation and digital empowerment through citizen participation and technological volunteering. The Foundation counts on a network of 1.500 Cybervolunteers and around 500 grass-roots organizations of different collectives at risk of social or digital exclusion. With this wide network we are experts in performing researches, pilots and focus groups in different areas, always involving ICTs as a means to reach the objectives. 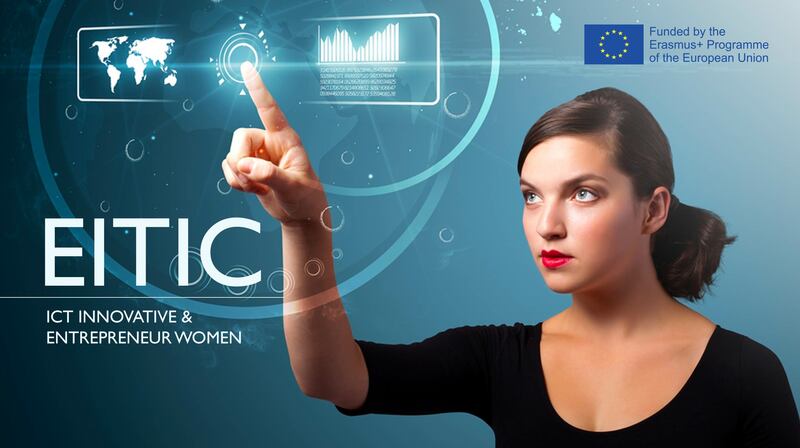 European multi-stakeholder partnership of more than 130 organizations and a rapidly growing member of individuals representing high-level expertise in women and technology development from government, business, academia and non-profit sectors, working together to measurably and significantly increase the number of girls and women in technology, and specifically in ICT. The biggest Italian network of social companies that work on VET and continuous learning, founded in 1995. Its main activities are professional orientation, continuous education and professional qualifying on one side, and consulting (analysis of learning needs, design of personalised training programs) on the other. They guide young people to choose their own path, and adults to continue learning or in the transition towards new job positions. They also act on Italian communities outside of Italy, in collaboration with important Universities. Consulting company with high experience and competences in professional training, coaching and mentoring of entrepreneurs, and qualitative and quantitative studies on the labour Market.